One hour of classroom or direct faculty instruction and a minimum of two hours of class student work each week for approximately fifteen weeks for one semester or trimester hour of credit, or ten to twelve weeks for one quarter hour of credit, or the equivalent amount of work over a different amount of time. All degree seeking Students are admitted to the College by the Office of Admission. A student is attending full-time if registered for a minimum of 12 credits in any semester. In order to complete degree requirements in the usual four years, students must enroll in an average of 15 credits per semester. A student is attending part-time if registered for fewer than 12 credits in a semester. Full-time students may petition to attend part-time for academic reasons with the approval from the student’s academic advisor and the Director of Academic Services & Advising. Part-time students may not reside on campus, or participate in varsity sports. Non-degree seeking students may take courses for which they have sufficient preparation and background by registering for the courses in the Registrar’s Office. Non-degree students are subject to the same academic regulations as other students. Non-degree students who wish to apply for degree status must do so through the Admission Office. If admitted, a maximum of ten (three or four-credit) courses taken at Stonehill College as a non-degree student may be applied toward completion of a degree program. Some students who would like to attend the College as a degree-seeking student are allowed to take full-time courses for which they have sufficient preparation and background with the approval of the Office of Admission, in consultation with the Office of Academic Services & Advising. These special non-degree students are subject to the same academic regulations as other students. Special Non-degree students who wish to apply for degree status must do so through the Admission Office. If admitted, a maximum of ten (three or four-credit) courses taken at Stonehill College as a non-degree student may be applied toward completion of a degree program. The academic status and continued enrollment of special non-degree students are reviewed at the conclusion of each academic term by the Admission Office. The academic year is divided into a fall and spring semester of approximately 15 weeks each. 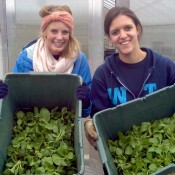 The College also offers a limited number of courses during the winter and summer intersessions. The Registrar’s Office is responsible for conducting registration for classes and for all credit-bearing programs. 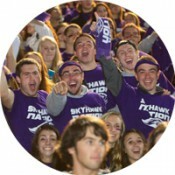 The schedule of courses is updated regularly and can be found on myHill or on the Registrar’s homepage at: http://www.stonehill.edu/offices-services/registrar/. The College reserves the right to make changes to or cancel any scheduled course offerings. Every attempt will be made to ensure that students can fulfill their programs of study in a timely manner. Students who do not complete registration during the dates designated in the Academic Calendar may be assessed a $50.00 late registration fee. Students who have not registered by the completion of the Add/Drop period will be administratively withdrawn from the College and unable to register until readmitted through a process initiated in the Office of Academic Services & Advising. A student may add or drop courses from the time he/she registers through the date listed on the Academic Calendar as the last day for Add/Drop. Students may adjust their schedule after the defined deadline only through petition to the Standards and Standing Committee and may be subject to a $50.00 late registration fee. Students may enroll in courses on an “Audit” basis, for no academic credit during the first two weeks of the semester, with the approval of the course instructor. The fee for auditing a course is one-half of the per-course tuition fee, unless it is being taken as part of a full-time course load. The audit is recorded on the student’s academic record as “AU”, but no grade or credits are assigned. An auditor is expected to attend classes, but is not required to complete assignments or to take examinations. The typical semester credit load for students pursuing a B.S.B.A. or a B.A. (other than in Biology, Chemistry, Computer Science, Engineering Dual-Degree, Environmental Studies, Health Science, Mathematics, or Physics) is 15-17 credits. These students may enroll in up to 17 credits per semester without authorization. The typical semester credit load for students pursuing a B.S. or a B.A. in Biology, Chemistry, Computer Science, Engineering Dual-Degree, Environmental Studies, Health Science, Mathematics, or Physics is 16-18 credits. These students may enroll in up to 18 credits per semester without authorization. Only in rare circumstances would a student be allowed take more than 20 credits in a given semester. a) All students must have a minimum semester GPA or cumulative GPA of 3.30 prior to registering for an overload. b) Students must receive the approval of their primary faculty advisor and the Registrar’s Office to overload. c) First-Year students may register for a maximum of two one-credit courses in a semester, but they may not take a sixth 3- or 4-credit course. i) First-Year B.S.B.A. and B.A. (other than in Biology, Chemistry, Computer Science, Engineering Dual-Degree, Environmental Studies, Health Science, Mathematics, or Physics) students may be approved for a maximum of 19 credits. ii) First-Year B.S. and B.A. 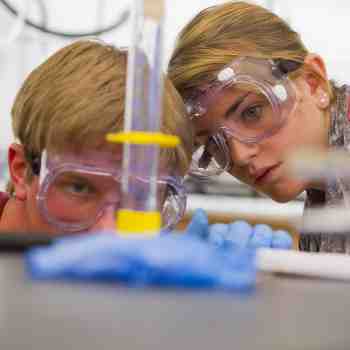 in Biology, Chemistry, Computer Science, Engineering Dual-Degree, Environmental Studies, Health Science, Mathematics, or Physics students may be approved for a maximum of 20 credits. i) B.S.B.A and B.A. (other than in Biology, Chemistry, Computer Science, Engineering Dual-Degree, Environmental Studies, Health Science, Mathematics, or Physics) students will be charged additional tuition for any credits beyond 19 in a given semester. ii) B.S. and B.A. in Biology, Chemistry, Computer Science, Engineering Dual-Degree, Environmental Studies, Health Science, Mathematics, or Physics students will be charged additional tuition for any credits beyond 20 in a given semester. e) Required R.O.T.C. Military Science courses will be automatically approved, but the credit limits for tuition still apply. f) Courses taken through the SACHEM or other consortium programs count toward the credit limits for tuition. g) Registration for a 3 or 4-credit overload will normally take place during the first seven class days of each semester. Exceptions may be made for courses that have no enrollment caps (e.g. Directed Studies, Internships, or one-credit music classes). h) The Director of Academic Services & Advising in connection with the Standards & Standing Committee may approve exceptions to this policy in the case of extenuating circumstances. Students are expected to be regular and prompt in their class attendance. In case of absence, students are responsible for all class work, assignments, and examinations. Any student who misses an examination (other than the final examination), a quiz, or any required classroom activity to which a grade is assigned, must consult the instructor as soon as possible regarding the opportunity to make up the work missed. In such cases, it is the instructor who determines whether or not the absence was legitimate; if it was, and if the student has consulted the instructor as soon as possible, the instructor must give a make-up examination or quiz, or provide the student with an equivalent basis for evaluation. If the absence is deemed not to have been legitimate, the instructor has the option to decide whether or not to provide an opportunity to make up the work. If a student misses three consecutive weeks of classes, due to prolonged illness or any other reason, the instructor has the right to decide whether or not the student will be permitted to make up the work missed. 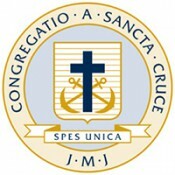 Any student in an educational or vocational training institution, other than a religious or denominational educational or vocational training institution, who is unable, because of his/her religious beliefs, to attend classes or to participate in any examination, study, or work requirement on a particular day shall be excused from any such examination or study or work requirement, and shall be provided with an opportunity to make up such examination, study, or work requirement which may have been missed because of such absence on any particular day; provided, however, that such makeup examination or work shall not create an unreasonable burden upon the school. No fees of any kind shall be charged by the institution for making available to the student such opportunity. No adverse or prejudicial effects shall result to any student because of these provisions. Final examinations are ordinarily held in all courses at the end of each semester. The Course Instructor may omit the conventional 2-hour final examination, in favor of a paper, project or take home exam. An exam may also be omitted with the approval of the appropriate Department Chairperson. In addition, other examinations, both written and oral, are given at the discretion of the instructor. Final Exams are scheduled using a grid which minimizes time and classroom conflicts and attempts to minimize the chance of students having three exams scheduled in the same day. Final Exams may not be held on the scheduled Reading Day. Only for extremely urgent and compelling reasons, such as illness, death in the immediate family, or religious exemption (see Absenteeism due to Religious Holiday above), may a final examination be taken out of regular schedule. The student must inform the faculty member ahead of time that he/she will not be able to take a final examination at the scheduled time due and then the student must notify the Office of Academic Services & Advising. The examination will be administered at an alternative time set by the Office of Academic Services & Advising. The value of the final examination is determined by the instructor. If a student misses the scheduled final examination without sufficient reason, a grade of “F” is given for this part of the course requirements. The semester grade is then determined in the same way as for students who took the examination. Grades of “AU”, “I”, “P”, “S”, “U”, and “W” are not assigned quality points and are not included in the computing of the quality-point average. “IF” (Incomplete/Failure) is issued when a student has failed to meet the 30-day deadline for completing the work in an incomplete (“I”) course. An “IF” is assigned 0.00 quality points, and is calculated as an “F” when computing the students grade-point average. “IP” (In Progress) is an administrative grade marker automatically assigned to any course that is currently in progress. Quality points are not assigned and are not included in the computing of the grade-point average. “NS” (Not Submitted) is an administrative grade marker used to indicate that the instructor did not submit a grade by the final grading deadline. The “NS” will be replaced with a final grade upon receipt from the course instructor. Quality points are not assigned and the NS grade is not included in the computing of the grade-point average. Faculty are required to give each first-year student and first-semester transfer student an assessment by the midpoint of the semester. Mid-semester assessments for all first-year students and first-semester transfer students in every course taken for credit must be submitted to the Registrar’s Office and represent the faculty member’s judgment regarding student performance up to the mid-point of the semester in three key areas: (1) attendance, (2) class participation, and (3) performance on any assessed course work (e.g., homework, quizzes, tests, presentations, etc.). For sophomore, junior, and senior year students, mid-semester assessments must be submitted for all students with a grade of C- or lower in any course using the rubric above. Mid-semester assessments are only an indication of current progress and are not recorded on student transcripts. Students, their academic advisor(s), the Office of Academic Services and Advising, the Office of Accessibility Resources, and Student Affairs will be notified of mid-semester assessments so that outreach can be made to offer the student any and all available support services. A faculty member can submit the grade of “I” or Incomplete for a student only when the failure to complete the work of the course is due to a serious reason as approved by the faculty member. When a student receives an Incomplete grade, he/she is granted a period of 30 days, beginning from the last day of final exams, to complete the course work. Failure to complete the course work during this period results in a grade of “IF” or Incomplete/Failure. Once all course work has been submitted to the faculty member, a final grade must be submitted to the Registrar’s Office by following the Grade Change process within 14 days. For serious reasons, a faculty member may grant the student an extension beyond the 30-day requirement by notifying the Registrar’s Office. However, an extension must not be granted beyond the semester following the one in which the Incomplete grade was given. Students who are issued an Incomplete in their final semester will not be eligible to graduate until the final grade is submitted and may not receive their degree until the next official College graduation date. Students are expected to complete all courses, required or elective, in which they are enrolled. It is only for serious reasons that course withdrawal should be considered. Prior to withdrawal, students are strongly urged to consult with their instructor, advisor, and/or the Office of Academic Services and Advising, to review the academic consequences of withdrawal. Students are also urged to consult with Student Financial Services since withdrawals may have significant impact upon a student’s current or subsequent eligibility for financial aid and/or billed charges. The grade of “W” is given only if a student has submitted a completed Course Withdrawal Form to the Registrar’s Office. Authorized withdrawal from a course will be indicated on the student’s permanent academic record. Any student who does not follow the required procedure for withdrawal from a course will receive a failing grade. Students may withdraw from individual courses until the last day for course withdrawal as determined by the Vice President for Academic Affairs or his or her designee. The last day for course withdrawal will vary based on the Academic Calendar. Requests for course withdrawal after the deadline will be considered only for serious reasons such as prolonged illness. If course withdrawal is due to a medical reason, the College requires that the student provide primary medical documentation to the College’s Designated Health Care Professional prior to the approval of the course withdrawal. The documentation required will be determined on a case-by-case basis based on the nature of the medical reason presented. In the case of a medical course withdrawal, the Director of Academic Services & Advising shall contact, based on the nature of the medical reason presented, either the Director of Counseling and Testing or the Director of Health Services (the Designated Health Care Professional) and inform them of the need for a medical withdrawal consultation. The Designated Health Care Professional will determine the documentation required, review the documentation, and provide written confirmation to the Director of Academic Services & Advising that the documentation presented is sufficient. Upon receipt of written confirmation of sufficiency, the Director of Academic Services & Advising may grant the course withdrawal. The College permits juniors or seniors to employ a Pass-Fail Option in one course each semester for a total of four Pass-Fail courses. The grade of “P” is given to students who successfully complete a course in which they have exercised the Pass-Fail Option. The student who fails such a course will receive a grade of “F,” which is counted the same as any other failure. The Pass-Fail Option can be used only in a course that is a free elective. No course taken as Pass-Fail can fulfill a General Education, major or minor requirement, unless accepted in transfer as part of a Stonehill College approved abroad or external program and approved by the relevant Department Chairperson or Program Director. Any student may take up to two Foreign Language courses even if this exceeds the maximum number of Pass-Fail courses allowed as long as these courses are not requirements of the major or minor, or General Education. The student who passes such a course will receive a grade of “P” with no quality points figured in the cumulative average. In addition, a student who chooses to take a course under the Pass-Fail Option must have a minimum of 12 (twelve) additional credits from courses graded with standard letter grades to be considered for Dean’s List. Students must fill out a Pass-Fail form in the Registrar’s Office during the first two weeks of the semester in order to exercise the Pass-Fail Option. To change a grading option after the first two weeks, a student must petition the Standards and Standing Committee which rarely grants such petitions. Students may access their grades on-line at the end of each semester. Upon written request of the student, the Registrar’s Office will mail a copy of the transcript to the student or to the student’s parents. The Semester grade-point average is based on all courses taken in that semester, including failures. It is calculated by (1) multiplying credits for each course by quality points assigned to each grade earned; (2) totaling points earned for all courses; and (3) dividing total points by the number of credits attempted. Cumulative grade-point average is calculated in the above manner for all courses taken at Stonehill College, including failures. Grades earned in courses accepted in transfer, or in courses approved to be taken at other colleges, are not calculated in either the semester or the cumulative grade-point average. The student who fails to obtain a passing grade in a course can secure credit for the course only by repeating it and passing it. Even after a course has been repeated, the original failure remains in the cumulative grade-point average and on the permanent record. Unless explicitly permitted in the course description, a student may not repeat a course once having attained a passing grade in that course. Across the curriculum, some courses are considered repeatable (i.e. topical courses, internships, research, applied music, etc.) This will be noted in the course description. Any student who fails to earn a passing grade in a course may repeat the course and can secure credit by passing it. Even after a course has been repeated, the original failure remains in the cumulative grade-point-average and on the permanent transcript. A course for which a grade of C-, D or D+ is earned may be repeated only once. A course for which a grade of F is earned may be repeated until passed. In the calculation of the cumulative GPA, all grades for repeated courses are included and will appear on the permanent academic record (transcript). However, only the higher grade of a repeated course will be calculated in the major or minor GPA. The repeated course must have the same number as the original course and may not be taken as a directed study. Repeated courses must be taken for a standard letter grade and may not be taken Pass/Fail. No more than one course for which a grade of C-, D or D+ was earned may be repeated in a semester. When repeating a course, a student must take a minimum of twelve (12) additional credits in order to maintain full-time status. It is the student’s responsibility to consult with the Offices of Student Financial Assistance as well as Academic Services and Advising regarding potential impact on financial aid. Academic probationary status is not removed as a result of repeating a course. The course must be taken prior to the completion of the degree. The student must complete the course repeat approval process established by the Registrar’s Office. Only the instructor of a course can issue a grade in that course or change a grade given. Any question on the part of the student concerning the correctness of a grade should be raised first with the instructor. If, after contacting the instructor, a student still does not believe the grade to be correct, the student should contact the respective Department Chair. If, after contacting the Department Chair, the student believes the grade remains incorrect, a Grade Re-evaluation Request should be filed in the Dean of the Faculty’s Office. Such a request must be made before the middle of the semester following the one in which the grade was given. The Dean of the Faculty will request a written explanation of the grade from the instructor. Once received, this explanation is sent to the student. If, after receiving this explanation, the student still feels that the grade is incorrect, he or she may submit a petition to the Academic Appeals Board within two (2) weeks from the receipt of the written explanation of the grade. The petition must be filed in the Dean of the Faculty’s Office. The Dean of the Faculty will convene the Academic Appeals Board with 10 business days. All decisions of the Academic Appeals Board are final. Students are not only to pass their courses, but also must maintain good academic standing by making Satisfactory Academic Progress towards their degree. Satisfactory Academic Progress is reviewed and determined by the Standards and Standing Committee at the end of the fall and spring semesters as well as the conclusion of winter and summer sessions. Not maintaining Satisfactory Academic Progress has a variety of consequences, including that the student may be prohibited from participation in extra-curricular activities and may also have a negative effect on financial aid eligibility. Contact the Office of Student Financial Assistance for Financial Aid eligibility requirements which may be defined differently than the Academic Division’s definition of Satisfactory Academic Progress. Students who fail to achieve the minimum semester GPA are subject to Academic Probation or even possibly separation, or dismissal from the College. The Office of Academic Services and Advising bears the responsibility for notifying students of the placement on Academic Probation. Students are required to acknowledge their status and work with Academic Services to articulate a plan for regaining Satisfactory Academic Progress. 3. not making Satisfactory Academic Progress for two (2) successive semesters or for three (3) non-consecutive semesters. The Standards and Standing Committee may offer students the option of a Suspended Separation and either full or part-time Probationary enrollment in the subsequent semester based. The offering of such alternative options is typically based upon performance above the 2.00 level in the most recent semester or overall progress towards the degree. Students separated from the College by reason of academic deficiency have the right to appeal the decision to the Standards and Standing Committee based upon extenuating circumstances. Requests for such an appeal must be made in writing to the Office of Academic Services & Advising within a time frame noted in the letter of separation. Failure to appeal within the time stated will, under all but the most extraordinary circumstances, disallow such appeal. If a student’s appeal is granted, the student returns to academic probation. If a student’s appeal is denied, at least one full semester must elapse before applying for readmission. The right to appeal is restricted to two separations. A second separation results in permanent dismissal from the College. Findings on the appeal of an Academic Separation are considered final. During the period of separation, a student may be required to take courses at another accredited institution. If so, those courses must be pre-approved by the Registrar’s Office. Only grades of “C” or better will be transferable. (“C-” grades will not transfer). Specific requirements for readmission eligibility following an Academic Separation will be outlined in each student’s Separation Letter. earning lower than a 2.00 in a subsequent semester. violating the Academic Integrity Policy. Students seeking to return to the College after a withdrawal, inactive semester, Administrative or Academic Separation or having graduated must contact the Office of Academic Services and Advising to obtain the Readmission Application. Applications for reentry must be received by July 1st for the fall semester and December 1st for the spring semester. Eligibility for readmission is based upon the circumstances of an individual student’s departure from the College and may be granted on a full- or part-time basis. The Director of Academic Services and Advising, or designee, bears the responsibility for making final decisions on readmission applications and setting any academic requirements students must meet upon their enrollment. Students who are on a Medical Withdrawal from the College must notify the Associate Vice President for Student Affairs/Dean of Students of their desire to return to the College, specifying in what capacity (full-time, part-time, commuter, resident, etc.). The Associate Vice President for Student Affairs/Dean of Students will advise the potential re-applicants of the steps and requirements associated with a return from a Medical Withdrawal. The Readmission Application process cannot be finalized until the Associate Vice President for Student Affairs/Dean of Students has approved a medical clearance to return to the College. Students who are on a Disciplinary Separation from the College must inform in writing the Director of Community Standards of their intent to return. The Director of Community Standards will advise the potential re-applicants of the steps and requirements associated with a return from a Disciplinary Separation. The Readmission Application process cannot be finalized until the Director of Community Standards has approved a disciplinary clearance to return to the College. Readmission cannot be granted until the Associate Vice President for Student Affairs/Dean of Students and/or the Director of Community Standards has/have approved a disciplinary clearance to return to the College. Students who are readmitted after having been withdrawn from the College for fewer than four semesters are typically required to complete the degree requirements in place at the time of their initial admission to the College. Degree eligibility and course requirements for students who have been away from the College for four or more semesters will be determined in consultation with the appropriate Department or Program Chair. Readmitted students’ probationary status will be the same as that at the time of withdrawal. The Office of Community Standards will notify students individually of any continued disciplinary sanctions or restrictions. There is no guarantee of either on-campus housing or financial aid for readmitted students. The Provost and Vice President for Academic Affairs has charge of the classification, academic standing, and progress of students. Students are typically classified with the sophomore class when they have completed 30 credits, with the junior class when they have completed 60 credits, and with the senior class when they have completed 90 credits. Class year is assigned for first-time, first-year students based on the academic year the student enters the College. As student’s class year assignment will only be changed in cases where the student’s progress towards graduation changes. The Registrar’s Office does not change class year for registration purposes; however juniors who have completed at least 84 credits may request that their registration priority be reviewed. It is the personal responsibility of the student to ensure that all academic requirements in general education and in major and minor programs are satisfactorily completed. Satisfactory completion of all course requirements including general education courses, major courses, and any declared minor courses. Proof of a grade of “C” or higher for each transfer course, including those from Stonehill sponsored programs (both abroad and domestic), or those taken as part of SACHEM or any other consortia agreement. Evidence of satisfactory completion must be submitted to the Registrar’s Office by the due date for final senior grades. A cumulative grade point average of a 2.00 or above. A student who fails to achieve the minimum 2.00 average at the end of the fourth year may be granted one additional semester to achieve it. Beginning with the Class of 2019, a GPA of 2.00 or above in all declared majors and minors. For students in the Classes of 2014 - 2017: satisfactory completion of a minimum of 120 credits, at least 60 of which must be taken at Stonehill. Beginning with students in the Class of 2018: satisfactory completion of a minimum of 124 credits, at least 62 of which must be taken at Stonehill. Beginning with the Class of 2015, students must spend at least eight semesters in full-time attendance, unless the period is reduced by advanced standing credit from another institution. A student who wishes to graduate in fewer than the expected eight semesters should petition for accelerated degree completion no later than the end of the first-semester of the junior year. This requirement does not apply to students attending part-time. Enrollment in the College or a College-sponsored program for at least two years, one of which is the final year. Have a completed Application for Graduation on file in the Registrar’s Office. The student is responsible for payment of all financial obligations to the College, and diplomas and academic transcripts are withheld until such obligations have been satisfied. Degrees ordinarily are conferred by the College at the public commencement exercises. Candidates for degrees are to be present at these exercises unless excused by the Office of Academic Affairs. While Stonehill only holds one public Commencement Exercise in May, students who take fewer or more than the traditional eight semesters to complete their degree requirements may earn their degree at the end of the summer (September 1st) or at the end of the Fall semester (December 31st). May Commencement Exercises will normally be held on the 3rd Sunday of May, when May is a four week month, and on the 4th Sunday of May, when May is a five week month. Candidates for May degrees are to be present at these exercises unless excused by the Provost’s Office. A student must satisfactorily complete all degree, major, and general education requirements by no later than the final due date for spring senior grades. The official date of graduation on the diploma and transcript will be the date of May Commencement. A student must satisfactorily complete all degree, major, and general education requirements by no later than August 20th of that year. The official date of graduation on the diploma and transcript will be September 1st. Diplomas will be mailed by October. A student must satisfactorily complete all degree, major, and general education requirements by no later than the final due date for fall semester grades. The official date of graduation on the diploma and transcript will be December 31st. Diplomas will be mailed by February. Students who graduate on September 1st or December 31st will be considered part of the following year’s graduating class year. Students who continue part-time to complete their degree requirements may not be eligible for Financial Aid or student housing. Any student who has completed all official degree requirements by the final due date for Senior spring grades and who has an approved “Application for Graduation” on file in the Registrar’s Office will be allowed to participate in May Commencement Exercises. Seniors who are within two courses of meeting their graduation requirements and have submitted an approved “Application to Participate in Commencement” to the Registrar’s Office by the last day of spring final exams may be eligible to participate in the May Commencement prior to completion of the final requirements. Students must also have an approved plan to complete these final requirements during the summer on file with the Office of Academic Services & Advising as part of the application to participate process. Students approved to participate in Commencement prior to the completion of all final requirements will be noted in the Commencement Program without final honors designation. Diplomas will be mailed to these students upon completion and certification of all final requirements on the College’s next official date of degree conferment. September graduates who participate in the May Commencement prior to their degree completion may not participate in the following May Commencement. September graduates who do not attend the May Commencement prior to degree completion are automatically included in the next May Commencement. December graduates may not participate in the Commencement prior to degree completion. December graduates are automatically included in the May Commencement following degree completion. Degree candidates must declare at least one major field of study before the end of the first semester of the junior year or prior to enrollment in the final 45 credits. Some majors require the selection of a concentration within the major. Students who enter the College with an intended major and complete that major will be considered as having declared at the time of admission. Undeclared students or students who wish to change their major must submit a Major Declaration Form, signed by the appropriate Department Chairperson or Program Director to the Registrar’s Office. Major Declaration Forms are available on myHill and in the Registrar’s Office. A student may enroll in two majors, subject to the approval of the respective Department Chairpersons or Program Directors and in consultation with the Office of Academic Services. This option must be requested by completing the Declaration of Major Form and a four-year plan. Major Declaration Forms and Four-Year Plan Forms are available on myHill and in the Registrar’s Office. In some cases a student may need to enroll in more than 124 credits in order to satisfy the requirements of both majors. In some cases students will be assessed additional fees. A student who satisfactorily completes two majors will receive one degree from the College, with this exception: If a student satisfactorily completes the requirements for two majors and the second major is in a different degree program (B.A. vs. B.S. vs. B.S.B.A. ), a second degree will be awarded, even if it is completed after the student’s official graduation. The student will be given the option of selecting which degree will be presented at Commencement. In lieu of declaring one major field of study, degree candidates may declare an individually designed interdisciplinary major before the end of the first semester of the junior year or prior to enrollment in the final 45 credits. Should degree candidates declare an interdisciplinary major as a second major, they may do so up to the first semester of the senior year. Students who wish to declare an interdisciplinary major must complete the Declaration of Major form and submit a program proposal that includes a statement describing educational goals sought, and the sequence of courses that would enable the student to achieve these goals. The course content must be focused upon a specific theme, and must include a significant number of courses beyond the introductory level and a senior Capstone experience. The program proposal must be approved by a faculty advisor as well as by the Program Coordinator for Interdisciplinary Studies. A student may choose a disciplinary and/or interdisciplinary minor area of study, either as an alternative field of specialization or for intellectual enrichment. Generally, a minor consists of at least 18 credits. Because a minor must have breadth and depth, 50% of the credits required for a minor must not fulfill any other major or minor program requirements in which a student is enrolled. In addition, departments and programs may restrict certain major/minor combinations. Starting with the Class of 2019, successful completion requires a minor GPA of 2.00. Students may declare up to two minor areas of study. To declare or change a minor a student must submit a Minor Declaration Form, signed by the appropriate minor program advisor to the Registrar’s Office. Minor Declaration Forms are available on myHill and in the Registrar’s Office. Students wishing to create an interdisciplinary minor will also be required to submit an additional application which is available in the Program Coordinator for Interdisciplinary Studies’ Office. • Earn a grade of “C+” or above for all courses. An exception to this policy will be made for students who receive an incomplete grade due to a course extending beyond the end of the semester. Part-time students are not eligible for Dean’s List. In the context of a community of scholarship and faith, and anchored in a belief in the inherent dignity of each person, the students, faculty, staff and administration of Stonehill College maintain an uncompromising commitment to academic integrity. We promote a climate of intellectual and ethical integrity and vigorously uphold the fundamental values of honesty, trust, fairness, and responsibility while fostering an atmosphere of mutual respect within and beyond the classroom. Any violation of these basic values threatens the integrity of the educational process, the development of ideas, and the unrestricted exchange of knowledge. Therefore, we will not participate in or tolerate academic dishonesty. All members of the College community have the responsibility to be familiar with, to support, and to abide by the College’s Academic Honor Code. This responsibility includes reporting knowledge of or suspected violations of this policy to the appropriate faculty member or to the Director of Academic Services & Advising or designee. Furnishing false information, including lying or fabricating excuses, for incomplete work. Each year, the Provost & Vice President for Academic Affairs is responsible for maintaining and publishing a set of procedures relative to the Academic Integrity Policy. These procedures are available through the Office of Academic Services & Advising. The Provost & Vice President for Academic Affairs is responsible for the overall administration of the Academic Honor Code. Under the direction of the VPAA, the Director of Academic Services & Advising or designee has been charged with the day-to-day responsibility for the administration of the Academic Honor Code, including the development and execution of all procedural rules related to academic integrity. The Director of Academic Services & Advising or designee is also responsible for protecting the rights of all parties involved throughout the entire hearing process. All Academic Integrity Reports will be held in confidential files in the Office of Academic Services & Advising. The Director of Academic Services & Advising or designee gives each faculty member the right to approach a student suspected of violating the Academic Integrity Policy to determine if a violation has occurred, and if so, decide the appropriate sanction for the violation. The Director of Academic Services & Advising or designee gives authority to the Academic Integrity Board (AIB) to conduct hearings on alleged violations of the academic integrity policy when an agreement cannot be reached between the faculty member and student regarding the violation or the sanction. The Director of Academic Services & Advising or designee gives authority to the Academic Appeals Board (AAB) to hear appeal cases regarding violations of the academic integrity policy. The purpose of the Academic Integrity Board (AIB) is to review statements from a charged student, the faculty member, and witnesses with knowledge of the incident when there is a dispute over either the alleged violation or sanction. The AIB determines if the charged student violated the academic integrity policy, and determines the nature of the sanction if the charged student is found responsible. The AIB contains representatives from students, faculty, and administrators. Because these hearings must occur soon after the alleged event, a representing group of faculty and students will be trained so that a quorum of five AIB members can be present to conduct a hearing. The Board will be comprised of two faculty, two students, and the Director of Academic Services and Advising or designee who serves as chair of the Board. The Director of Community Standards serves as an “ex officio” member of the Board, ensuring appropriate procedures are followed. Members of the College community may nominate student members of AIB. The Faculty Senate will appoint two faculty members from each division and additional volunteers will be solicited from general faculty to serve in instances when the appointed members are unavailable. Members of the AIB may not serve on the Academic Appeals Board. The Academic Appeals Board (AAB) is charged with hearing all requests for appeals resulting from an AIB hearing. A quorum of three AAB members must be present to conduct a hearing. The AAB is comprised of one faculty member and one student representative, chaired by the Associate Provost for Diversity, Assessment, and Faculty Development. Members of the College community may nominate student members for the AAB. From these nominations, the Student Government Association will appoint students to serve on the AAB for the following academic year. The Faculty Senate will appoint one faculty from each division and fill any vacancies during the year by appointment. Members of the AAB may not serve on the Academic Integrity Board. It is expected that all hearing board members be impartial. All decisions by the AIB and AAB will be arrived at by a simple majority vote. The chairperson will vote only in case of a tie. All board findings are reviewed by the Provost & Vice President of Academic Affairs before being released. To participate on either board, all members must complete a training process. The term of office for appointed AIB and AAB board members will be two years for faculty members and one year for students. There are no specific term limits for board members. Student members of the AIB and AAB must be full-time students in good academic and disciplinary standing. If a student member does not maintain good academic or disciplinary standing, he or she will be removed from the AIB or AAB for that academic year. A member of the AIB or AAB may be removed from the Board for non-fulfillment of duties essential to the position. A majority vote of the members is required for removal. Charged students are required to attend all hearings related to academic integrity violations. Hearings are not open to the public and are confidential in nature. Therefore, friends, parents, siblings, or legal counsel may not be permitted in the room where the hearing takes place, but may wait nearby for support purposes. However, charged students are encouraged to be advised by an advocate during the process, which is defined as a faculty member, staff member or member from the student body who is not an attorney. In the absence of a functioning AIB or AAB, such as before the appointment of members or at the end of an academic semester, the Director of Academic Services & Advising or designee may appoint an impartial group of faculty, administrators, and students to review the case. A. Both agree that violation did not occur and the case is dismissed. No written report is necessary. B. Both agree that the action was an unintentional matter resulting from miscommunication or lack of understanding. The faculty member and student agree to a limited sanction (e.g. a reduction in the grade for the assignment, a requirement to rewrite and resubmit the assignment and/or the requirement that the student schedule an appointment with the Writing Center personnel for assistance on proper procedure, etc.) within five business days of their initial meeting. Reporting of the incident to the Director of Academic Services & Advising is left to the discretion of the faculty member. If reported, the faculty member should indicate whether a formal or informal letter is most appropriate. The Director of Academic Services & Advising or designee will review all reports to determine if a repeat offense has occurred. C. Both agree that an academic integrity incident did occur but that the incident is not serious enough to be considered a formal academic performance or conduct violation. Within five business days of their initial meeting the faculty member imposes developmental, educational, and course outcomes; and provides an informal/formative letter, which describes the incident and outcomes to the student and to the Director of Academic Services & Advising. with the issuance of a valid subpoena, etc.). D. Both agree that an academic integrity incident did occur and that the incident is serious enough to be considered a formal academic performance or conduct violation. Within five business days of their initial meeting the faculty member imposes developmental, educational, and course outcomes; and provides a formal letter that describes the incident and outcomes to the student and to the Director of Academic Services and Advising. E. The faculty member and student are not able to reach an agreement about either the violation or the sanction. The faculty member is then required to submit, within five business days from when the initial meeting occurred with the student, an Academic Integrity Incident Report to the Director of Academic Services & Advising or designee who will send a copy of the report to the student. The Director of Academic Services & Advising or designee will refer the case to the AIB. F. In the case of a repeat violation The Director of Academic Services and Advising or designee will call a hearing of the Academic Integrity Board. The AIB will be charged with reviewing all relevant facts and documentation from each infraction to determine the appropriate sanction. In cases where the personal safety of a faculty member is a concern, the faculty member may either request a third party to be present when meeting with the student or may report the violation directly to the chair of the AIB or designee without prior discussion of the incident with the student. The student and faculty member involved will be contacted by the chair of the AIB to arrange a date, time and place of the hearing through a written notice. During this contact, the faculty member and student can recommend witnesses. At the discretion of the Chair of the AIB, the details of the violation and incident report can be shared with recommended witnesses. The Chair of the AIB has the authority to reject recommended witnesses as well as invite other witnesses deemed only to be relevant to the case in question. Formal AIB hearings will be conducted as soon as possible but no sooner than two business days nor more than ten business days after the charged student has been notified. Specific time limits within the process may be extended for reasonable cause at the discretion of the Director of Academic Services & Advising or designee. A notification of an extension in the allowed timeline will be shared with all faculty, witnesses, victims and the accused student by email. Based on the guidance provided by the Family Educational Rights and Privacy Act (FERPA), faculty members must respect the student’s right to privacy during this process. Discussion of any matters related to the event that would violate the student’s privacy should be avoided. Faculty members seeking advice from others should not use the names of the alleged students and should be careful not to reveal confidential information. Faculty are permitted to share relevant details of the alleged infraction on a need to know basis with other instructors who are considered partnered with the course where the violation took place, such as in the case with a Learning Community, lab/lecture paring or other team- taught environments. Designated staff members in the Office of Academic Services & Advising are available for confidential consultation. During the investigative period before an AIB or AAB hearing, the Director of Academic Services and Advising as well as the designated Chair of each committee has the right to share information about the case with relevant parties on a need to know basis as defined by FERPA. A charged student will be considered notified of the charges once the Academic Integrity Incident Report has been mailed to the student’s local, campus, or home address on file with the College. Be advised by an advocate, who is defined as a faculty member, staff member or member of the student body who is not an attorney. Request an appeal of the decision resulting from an AIB hearing within five business days of receiving the decision in writing. A charged student is entitled to one appeal. In cases where the AIB is meeting because of a student’s second (or repeat) infraction, the AIB will meet independently with the student to review all prior violations and determine the appropriate sanction. In cases where the personal safety of a faculty member is a concern, the faculty member may either request a third party to be present when meeting with the student or may report the violation directly to the Director of Academic Services & Advising or designee without prior discussion of the incident with the student. The student and faculty member involved will be contacted by the chair of the board to arrange a date, time and place of the hearing through a written notice. During this contact, the faculty member and student can recommend witnesses. Formal hearings will be conducted as soon as possible but no sooner than two business days nor more than ten business days after the charged student has been notified. Students may be invited to wait outside (time permitting) to be notified of the sanction in person. Faculty members and hearing boards review cases on their own individual merit and determine appropriate sanctions. Possible sanctions can include but are not limited to one or more of the following: warning, reduction or loss of credit for the assignment, rework of the assignment, failure of the course, informal letter, formal letter, separation from the college, and dismissal from the college. Sanctions of separation or dismissal from the College may only be imposed by the AIB and AAB. For an egregious academic integrity violation, the board may separate or dismiss the student from the college. The board may also separate the student from the college because of repeated academic integrity violations. If a student has already been separated for an academic integrity violation, has been re-admitted, and has committed another academic integrity violation, the AIB may permanently dismiss the student from the College. In the case of a student with repeated academic integrity violations, these violations will only be considered when a decision has been made about the current violation and a sanction for the current violation has been determined. The Director of Academic Services & Advising or designee may impose interim restriction(s) upon a student pending a formal board hearing. Interim restrictions become effective immediately without prior notice whenever the Director of Academic Services & Advising or designee believes the student may cause serious disruption to the College community. Interim restrictions may include: separation from the College; restriction of communication with named individuals within the College community; or the restriction from attending a particular class. Whenever reasonably possible, a meeting between the charged student and Director of Academic Services & Advising or designee will be held prior to the imposition of interim restrictions. The charged students will have the opportunity to meet with the Director of Academic Services & Advising or designee to present his/her version of the facts, and to indicate why interim restrictions should not be imposed. Following this meeting, the decision of the Director of Academic Services & Advising or designee will be final. A request for an appeal is to be submitted in writing to the Director of Academic Services and Advising or designee. The Director of Academic Services & Advising or designee will refer the request within ten (10) business days to the Associate Provost for Diversity, Assessment, and Faculty Development. The Associate Provost for Diversity, Assessment, and Faculty Development will convene and chair the AAB within ten (10) business days. d. Determine the appeal request merits a formal appeal hearing and schedule a hearing no later than ten (10) business days from the date the request is reviewed. Typically, a formal appeal hearing would not be granted unless significant prejudices result from deviations of designated procedures. 5. All decisions, once realized by the AAB, are binding. c. When disclosure is appropriate or necessary under FERPA (e.g., upon request from law enforcement, in conjunction with the issuance of a valid subpoena, etc.). Academic discipline records are not considered to be part of a student’s permanent academic record maintained by the College. However, a violation of the Academic Integrity Policy that results in a sanction of college separation or college dismissal is considered part of the student’s permanent record. Any questions of interpretation or application of the Academic Integrity Procedures will be referred to the Director of Academic Services & Advising or designee for determination. appropriateness and applicability of the credit earned in light of the student’s educational goals. Educational quality is partly ensured by the requirement that transferred credit must be from accredited institutions. Comparability of the nature, content, and level of credit earned is ensured by thorough research into the content of each transferable course and through established articulation agreements with community colleges and other partnering institutions. Appropriateness and applicability of the credit earned is ensured by close consultation and coordination with the academic department chairs, Assistant Dean of General Education, the General Education Advisory Committee, Office of International Programs, and the Registrar’s Office. Transfer credit is only granted for college-level, credit-bearing courses taken at other institutions whose accreditation is recognized by the Council for Higher Education Accreditation (CHEA) or Department of Education (DOE), regardless of delivery method (e.g. on-line courses, hybrid courses, MOOCs, etc.). Credits may also be awarded through the College Board Advanced Placement Exam Program, International Baccalaureate Program or through approved abroad programs. Please not that Stonehill does not currently accept transfer credits from schools accredited by the Academic Council for Independent Colleges and Schools (ACICS). Credit will only be granted for courses in which the student has received the equivalent of a grade of “C” or better. An earned grade of “C-” or below will not transfer. However, since Stonehill lecture/lab courses are graded with a single grade, transfer lecture/lab courses for which each component is graded separately may be accepted even if one of the grades is lower than a “C” if the weighted combined average grade is equivalent to a “C” (2.00 at Stonehill) or better. Pass/Fail courses will only be accepted in transfer if the official transcript indicates that a passing grade is the equivalent of a “C” or better. In order to qualify for a Stonehill degree, a transfer student is required to complete at least 50% of their credits at the College, with their final two semesters taken at Stonehill or in a Stonehill sponsored program. At least 50% of courses required by the Stonehill General Education Cornerstone Program, a major, or minor must be taken in residency at Stonehill or through a Stonehill sponsored program. Individual academic departments may further restrict which major or minor courses may be transferred into Stonehill College. Only credit hours are transferred. Transfer grades are not recorded on the Stonehill transcript and are not included in the computation of the cumulative grade-point-average. Credits transferred in from quarter hour, trimester, or other non-semester hour institutions may be adjusted to make them equivalent to a Stonehill semester-hour credit. Students wishing to take and transfer in courses from another institution after initial matriculation at Stonehill must have the courses pre-approved by the Registrar’s Office. Courses taken abroad must be pre-approved by the Office of International Programs. Students are required to provide the Stonehill College Registrar’s Office with an official copy of the transfer school’s transcript, or official Advanced Placement or International Baccalaureate test scores before credits will be transferred. In some cases course descriptions and/or a course syllabus will be required to ascertain course equivalency. credits may only be accepted in transfer toward completion of General Education requirements with the approval of the Assistant Dean of General Education and/or the chairperson of the Department of Foreign Languages, for courses fulfilling the language requirement. Generally, transfer credit (including Advanced Placement credit (AP), International Baccalaureate credit (IB), and Dual Enrollment credit) may be applied toward the General Education Cornerstone Program curriculum if the transferred credit satisfies the requirements of a particular course within the Cornerstone Program and is identified as such in the Hill Book. (e.g., a student who receives transfer credit for BIO 101 Biological Principles I, which presently fulfills the Natural Scientific Inquiry requirement in the Cornerstone Program, will also have fulfilled the Natural Scientific Inquiry requirement). Transfer students with first‐year standing (fewer than 25 credits) must complete all General Education requirements, with the exception of those fulfilled through approved transferred courses. Transfer students with sophomore standing (transferring in 25-55.9 credits) are exempt from the First-Year Seminar requirement but must complete all other General Education requirements, with the exception of those fulfilled through approved transferred courses. Transfer students with junior standing (transferring between 56-62 credits) are exempt from the First-Year Seminar and Learning Community requirements but must complete all other General Education requirements, with the exception of those fulfilled through approved transferred courses. Since students must complete at least 50% of their credits (62) at Stonehill, a student may not transfer in at a level higher than junior standing. Transfer credits may be granted for coursework completed as part of advanced or occupational military training that is comparable in nature and content to courses and credits offered through Stonehill College programs. Credits earned for Basic Training are not transferable. Students wishing to transfer in credits for military courses must provide Stonehill with an official college transcript from an accredited institution of higher education or from The American Council on Education (ACE). courses taken in the natural and computer science more than 10 years ago. Students who are approved for the Study Abroad Program by the Director of International Programs must obtain pre-approval for all academic courses they are planning to take at the international educational institution. Students must complete the Study Abroad Course Approval Form during the semester before they leave to be eligible to transfer credit back to Stonehill College. Students who take courses abroad to fulfill a major and/or minor departmental requirement(s) or departmental elective(s) must have those courses pre-approved by the respective department chair. Courses taken for general elective credit must be pre-approved by the Office of International Programs. Students are required to provide the Stonehill College Registrar’s Office with an official copy of the transfer school’s transcript before credits will be transferred so students should request international transcripts early to allow for adequate time for delivery and processing. Stonehill College participates in the Advanced Placement Program administered by the College Entrance Board. Each academic department establishes its own criteria for awarding placement and credit for Advanced Placement. A maximum of three (3) credits are awarded for test scores of 4 or 5 based on the Advanced Placement equivalency chart below. Stonehill College also recognizes the level of academic achievement represented by the successful completion of coursework in the International Baccalaureate (IB) program. Stonehill will award up to six (6) credits of transfer credit for each Higher Level (HL) exam with a score of 5, 6, or 7. Credit will not be given for Standard Level (SL) examinations. Students who have taken both AP and IB examinations in the same subject area may not receive credit for both. Students who are granted Stonehill College credit for AP or IB examinations are not allowed to enroll in introductory courses in the same area(s) in which credit has been granted. A maximum of 18 credits may be transferred in combination of AP and IB examinations. Students who have completed AP or IB examinations must request that an official score report be sent to the Registrar’s Office to receive credit. the course must be comparable in nature and content to courses and credits offered through Stonehill College programs. General Education Cornerstone Program credit will be awarded at the discretion of the Assistant Dean of General Education. Students are required to provide the Stonehill College Registrar’s Office with an official copy of the transfer school’s transcript, the completed Request for College Credit Form, and course description or syllabus of each course for which the student is requesting credit to ascertain course equivalency. In order to protect a student’s right to privacy, a transcript can be released by the Registrar’s Office only at the written request of the student. Requests for transcripts must be made in writing to the Registrar’s Office and will not be accepted by telephone. Emailed requests will also not be accepted, except in cases where a scanned transcript request with student’s signature is attached to the email. 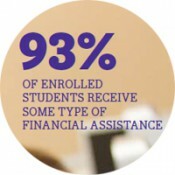 To obtain an on-line transcript request form, go to: http://www.stonehill.edu/offices-services/registrar/. In accordance with the usual practice of colleges and universities, official transcripts normally are mailed directly by the College, not transmitted by the student. A transcript is official when it bears the seal of the College and the signature of the Registrar. Students may request unofficial transcripts for personal use. Transcripts will be issued only when all financial obligations to the College have been satisfied.